Custom lace wigs allow you to customise a Remy hair full lace wig or lace front wig to your individual specifications and our experience in custom made wigs tells us that there are certain things that all prospective custom lace wig customers should know. Typically this is given as working days (Monday to Friday) and is between 20 and 30 days and if you're a quick as we know you are, you've already worked out that this equates to between four and six weeks. However this is just a broad guide, it all depends on the manufacturers and their workloads - at busy times this can take even longer than the four to six week average. Here's a TCPG handy hint: check if there's a rush order facility. Ah, the 64 million Euro question: the fact is, it will cost as much it costs. OK perhaps that's not the most helpful answer but it's as accurate as we can be - the cost depends on what you ask for and here is a list of items that will be added to the base price of your custom made wig. - Whether the hair is chemically untouched "virgin"
- The origin of the hair, Peruvian, Mongolian etc. As with most bespoke items, you pay when you place the order. There are however, a few retailers that allow for partial payment when placing the order and the remaining payment can be made when order is ready to ship. TCPG Top Tip - always check whether the initial payment is in fact a non-refundable deposit so you know that you cancel the order whether you'll be entitled to a refund or not. Choosing from the standard lace cap constructions is straight forward enough, however if you're aiming to individually create or customise a lace cap construction then it's important that your retailer can guarantee that it will meet your accurately match your specifications. 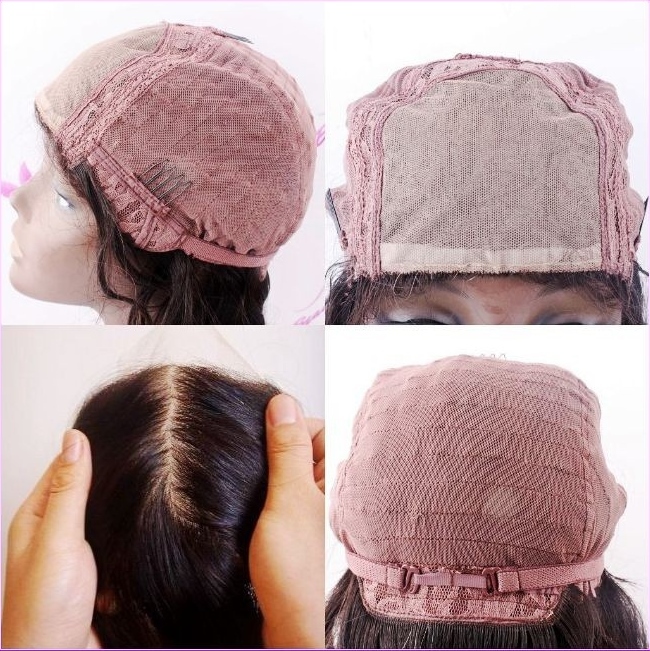 A good retailer will be able to provide you with an image of the cap, prior to your customised lace wig being sent to you. It may sound like an odd sort of consideration especially if you know you're buying human hair, but for some wearers, the origin of the hair, or rather the methods used in obtaining the hair can affect whether they are able to use the custom made wig. Kosher wigs or Sheitels cannot be made from any hair that doesn't meet certain specifications - if this is important for you as the wearer then it's essential that you determine whether the retailer is able to provide the necessary kosher certifications. Typically this will mean that the wig will not contain any hair from India and that the wig is manufactured under rabbinic supervision which authenticates that hair is not from India. Kosher wigs or Sheitels typically only contain Mongolian or European hair. The details of the halachic (legal) rulings on hair from India vary according to the understanding and views of the leaders in each community, it may be best consult with your rabbinic authority for individual guidance in all halachic matters prior to ordering a custom made wig. Final custom made wig questions concern whether the retailer produced the colour and texture before; and images of the final product (as in whether you can see images of the final product before it's sent to you). It doesn’t matter the reason for customising your wig, it’s about having hair that you can wear with confidence. This is why with think it's important for you to make sure you receive the custom made wig you ordered.